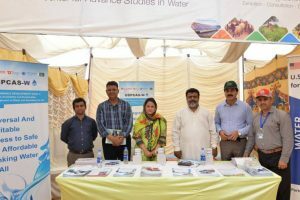 The US-Pakistan Center for Advanced Studies in Water (US-PCASW), MUET Jamshoro organized a “Dialog on Water SDG6: Challenges and Opportunities” on Tuesday, November 13, 2018. 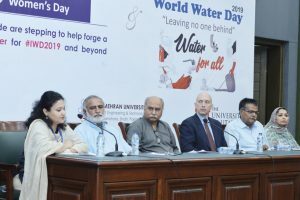 This activity was held with the participation of Oxfam Team, besides water-related experts/ stakeholders from other organization and the faculty and students of the center. Oxfam team consisted of Mr. Mohammed Qazilbash, Country Manager and Mr. Fransisco Catardo, Director International Program. The welcome address was given by Prof. Dr. Rasool Bux Mahar, Deputy Director (Academics and Research). He emphasized that the very purpose of the Dialog was to give serious thought to the water-related issues, understand challenges and opportunities and join hands to develop short term and long term strategies to overcome these problems in the context of Water SDGs, particularly SGD6. 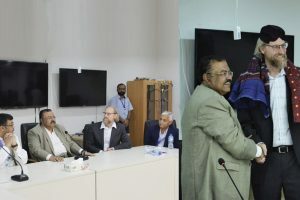 It involved a Panel Discussion consisting of the panelists Mr. Ghulam Mustafa Ujan, Dr. Najma Memon, Dr. Altaf Ali Siyal, Dr. Kamran Ansari, Dr. Zubair Ahmed, Dr. Jeff Ullman, and Dr. M. Munir Babar. 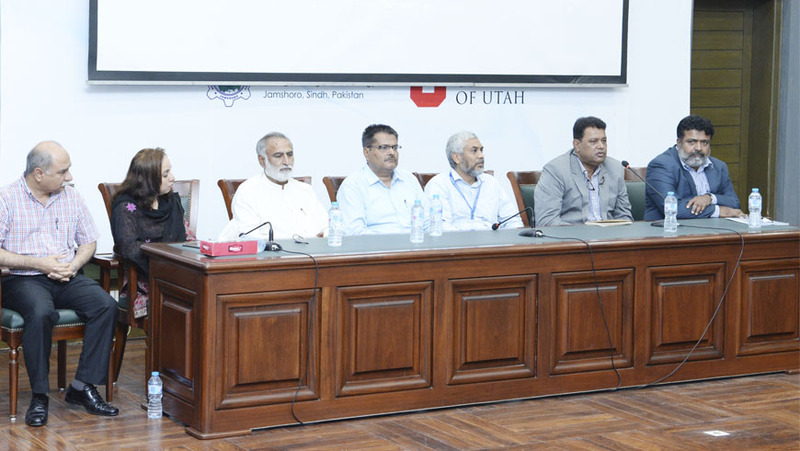 The panel discussion was followed by question-answer session and dialog was moderated by Prof. Dr. Rasool Bux Mahar.